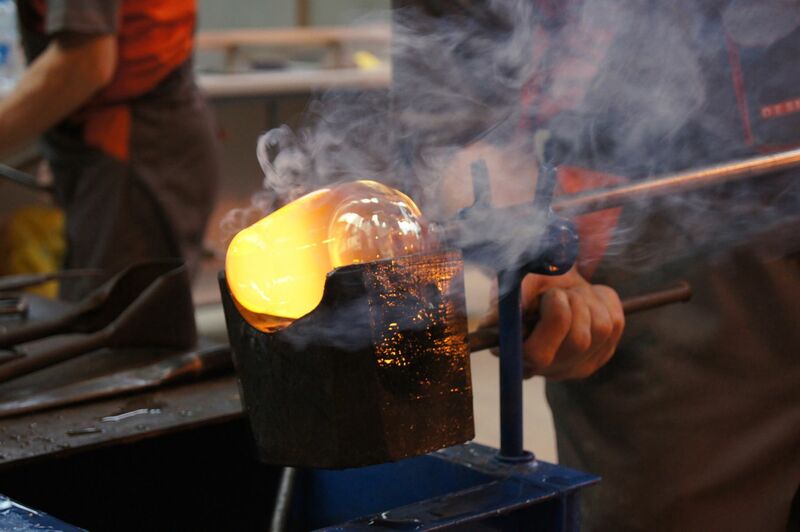 Once the building of a recognised glass factory, today it offers an opportunity to become familiar with the process of glassmaking, and to test your skills as a glassblower. The premises at ul. Lipowa 3 were used by a glass factory from the 1930s to the very late 1990s. Today it is the address of the Glass and Ceramics Centre Lipowa 3, which invites the curious to visit an exhibition devoted to the history of the place and glassmaking technology: Glass in Kraków. Industry and Art 1931–1998. Displayed here among other items are the tools used for manual production of glass, historical glassware, and colourful artistic glass made here after the Second World War. The historical hall of the glassworks can be visited during the displays of manual glass formation, held from early spring till late autumn. You can not only become familiar with the fascinating process of making glass, but also try your hand at the difficult profession of the glassblower. Booking is required for groups. The Lipowa 3 gallery also organises exhibitions of glassware and ceramics by contemporary artists.